Email marketing software Campaign Monitor has announced a new transactional email service for its clients and it hopes to simplify the often cumbersome technical challenges with such messaging. Welcome emails, password resets, order confirmations, shopping cart abandonment notifications - transactional emails - are important to consumers and incredibly effective for marketers. They are, in fact, opened up to eight times more frequently (according to this 2010 transactional email report from Experian) than traditional marketing email, making them viable opportunities to increase customer engagement. Campaign Monitor hopes to accomplish this with its new transactional email service by offering marketers a drag-and-drop email builder, mobile-ready templates, optimization and testing tools, as well as personalization and segmentation features. Companies including subscription service Birchbox are already using the service. The service is available today to Campaign Monitor customers on a monthly plan at no additional cost. 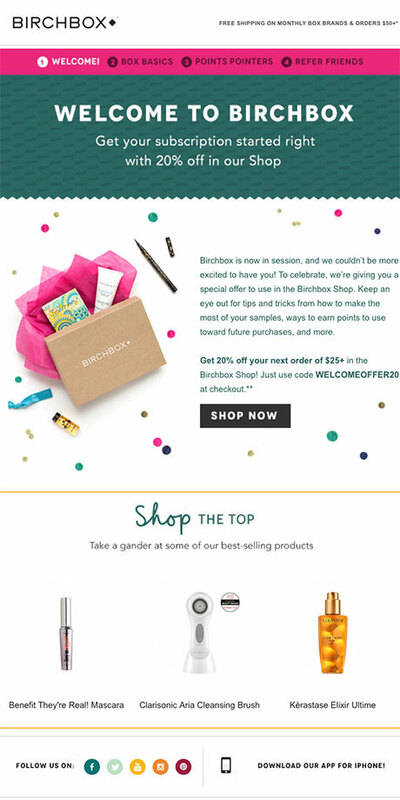 A sample transactional email from Birchbox, using Campaign Monitor's new transactional email solution, can be seen below.